IEG is proud to announce IEG 12Apostel's first Principal Investment in ride.bln, the German equivalent to SoulCycle. In an exclusive "10 Questions For" interview, ride.bln co-founder Kirill Pronine talks about his banker past, the fitness hype and Shazam. 1. Kirill Pronine, What is ride berlin? RIDE.BLN IS FULL-BODY CYCLING. The most fun, new way to work out, great music, great trainers and tons of fun. 2. Why would a financial expert like you establish a sport startup? WELL AFTER WORKING FOR 10 YEARS in private banking you get to meet a lot of very successful entrepreneurs. So for me it was always just a question of time to start something on my own. Having met Till as a childhood friend back in the day, we always wanted to do stuff together. We found a niche in the sports market in Berlin and we decided that this is the absolute right concept for this great city. 3. How did you meet your co-founder Till Trilling? TILL AND I HAVE been childhood friends since the 7th grade and we always wanted to start a business together. With Till’s 15 years within the fitness industry and my financial background, it was a perfect match for ride.bln. 4. What makes ride.bln special? WE BELIEVE THAT WORKING out should be fun. So our combination of great music, effective workout and an outstanding service is what makes ride.bln special… and the best part is – you do not need a membership to participate. At the same time we have everything you might need at the studio: water, towels, and shoes. All YOU need is just your gym clothes. 5. What is the connection between IEG and ride.bln? 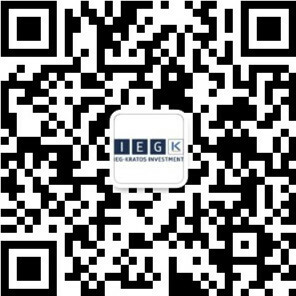 IEG HAS BEEN VERY helpful to us with their deep knowledge of global trends within the fitness industry as well as what is happening in the digital world. On top of it, they have been a great introduction to the neighborhood and helped us to create a lot of pre-opening buzz. 6. What are the next steps for ride.bln? AFTER THE OPENING of City West, our goal is it to have a third studio in Berlin. Once that is accomplished, over the next years we plan to bring the perfect ride to major cities in Germany, Austria and Switzerland. 7. How can people prepare themselves for ride.bln? THE MOST IMPORTANT THING our potential customers need to bring with, is the curiosity to try something new. In our ride we combine classic cycling technics, a lot of upper-body workout, a weight section, Dance-Club atmosphere and most importantly tons of fun. We make sure that our rideXperts bring the most out of you and give you a workout that is second to none. 8. What is your take on the big fitness hype? AFTER HAVING SPENT A LOT of money on un-used premium gym memberships I finally realized that the only way to really stay motivated is to enjoy what you are doing. So we at ride.bln try to make sure that all of our customers experience that feeling. A big part of the current fitness hype is the digital tracking and measurement of your results. We at ride.bln believe that we have way too many gadgets in our daily life and we try to create an atmosphere in which our customers focus on the workout, the music and the group around them. Is someone wants to measure their results, they can feel free to do so. 9. How do you relax from work? MY ESCAPE IS ALSO part of the reason why I ride – I love to cook and eat. Therefore riding keeps me in shape. Apart from that I have a 2,5 year-old son. So I try to spend every moment that I have away from the studio with my family. 10. What is your favourite app? THE RIDE.BLN APP of course. But I also use Shazam a lot as I am always looking out for new and cool tracks to suggest to our rideXperts to use during their next session.